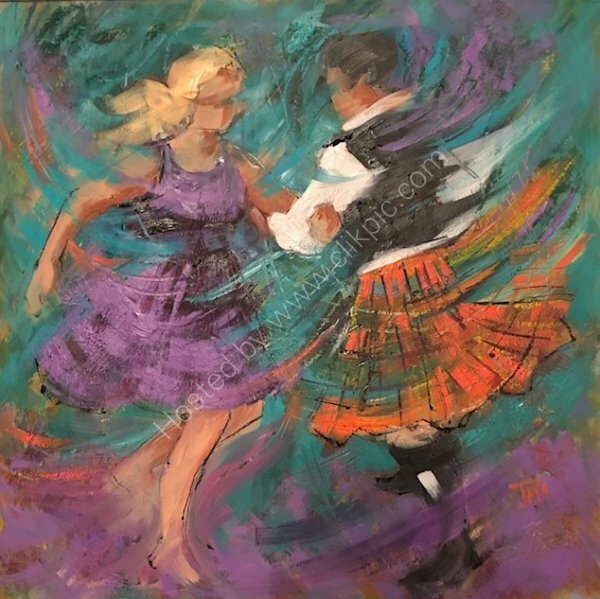 SPINNING HOT: Janet McCrorie Artist. Original mixed media painting. Image size 50 x 50 cms.